Stand Out and Show Off Your Business With a Custom Commercial Sign! Whether you are a recent transplant to the San Francisco Bay Area or you’ve been growing your business here for generations, you know that there is nothing like the diverse, thriving culture of this beautiful region. Although the bustling markets and busy city center of San Francisco makes it a great place for expanding your company, there is one thing that makes evolving in this commercial market a challenge—standing out from the crowd of your competitors! While there are countless ways to brand and market your business to your future customers, having quality, stand-out signage is a necessity. At Golden Gate Sign Company, we understand the needs of local business owners, and we’ve been helping businesses large and small make an impact with state-of-the-art custom signs since 1969. Want an eye-catching neon sign that lights up your downtown storefront? No problem! Need innovative, custom signs to promote an upcoming event? We’ve got you covered! What are Your Ideas for the Perfect Custom Sign? 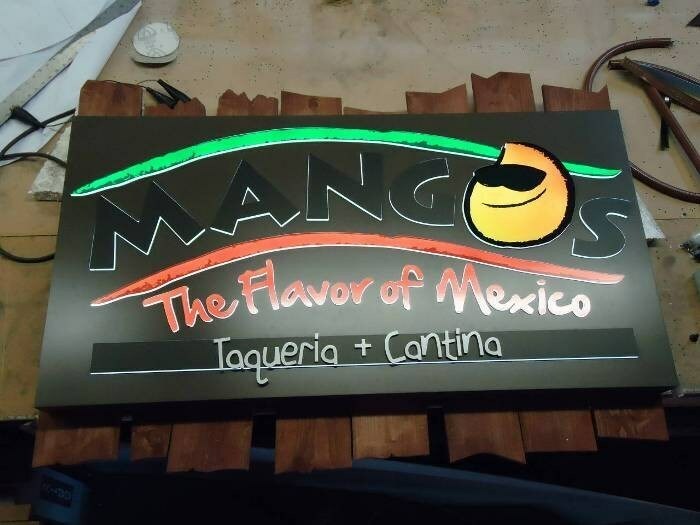 Whatever your vision is for custom signage, we have the talented crew and the know-how to make it a reality, and we do so at a price that is surprisingly affordable! Start-to-finish service that covers everything from initial design through fabrication and installation. Support of a full team of highly skilled sign professionals that have decades of industry experience. Durable, long-lasting products that stand up to the harshest weather in San Francisco for decades to come. Vast selection of signage materials and custom options to transform your initial vision into a customized work of art. With help from the team at Golden Gate Sign Company, enhancing your business with high-quality custom displays couldn’t be an easier process. In fact, we’re standing by right now to answer any questions you have! Give us a call or fill out our online form, and we’ll get started with turning your ideas into the custom signs of your dreams.